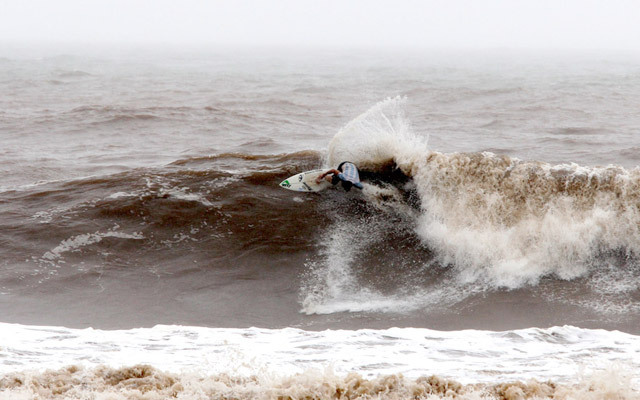 El Salvador ISA World Masters Surfing Championship Starts Tomorrow! The El Salvador ISA World Masters Surfing Championship, the largest Master’s surfing event in history, will start tomorrow with the Opening Ceremony in Punta Roca, and the competition will begin immediately afterwards. Eight consecutive days of non-stop rain and wind prompted the President of El Salvador to call for a National State of Emergency, delaying the event until conditions were less dangerous. After evaluating Tuesdays’ forecast, federal authorities gave the event a green light to start tomorrow. Today, Punta Roca hosted another round of free surfing and training with the waves lining up, and sets in the 5 to 8 feet range. But mostly it was a day of helping. 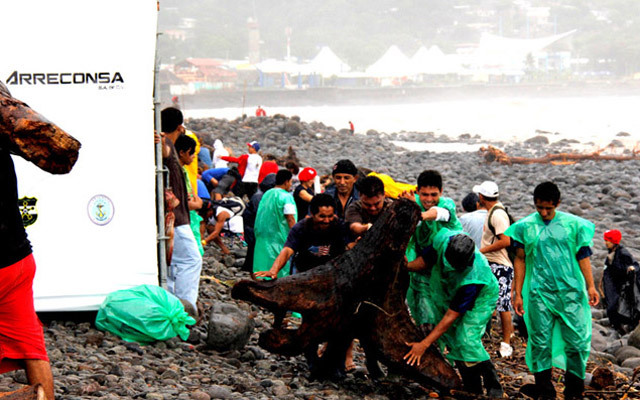 Surfers and team officials from 21 countries, ISA staff and judges, organizers and members of the local community spent the entire day at a beach cleanup organized by the ISA. The excessive rain caused the rivers to dump tons of debris on the beach, which hundreds of volunteers cleared in a great spirit of camaraderie. Meanwhile, in the water, the waves started to get better little by little and the line up got crowded. Even with onshore winds, Punta Roca showed long walls with good barreling sections. Athletes like three-time World Champion, Tom Curren (USA), former World Tour competitor Dean Randazzo (USA), three-time ISA Masters World Champion, Juan Ashton (PUR) and 2006 Latin American Champion, Martín Passeri (ARG) went to the water and delivered amazing performances in challenging conditions. Competitors from Argentina, Australia, Brazil, Costa Rica, Ecuador, El Salvador, France, Germany, Hawaii, Mexico, New Zealand, Panama, Peru, Puerto Rico, South Africa, Sweden, Switzerland, Trinidad and Tobago, Uruguay, USA and Venezuela will start tomorrow at the historic Master event.